FacilitiesMap has built-in support for GeoSearch, through two geocoding providers (MapQuest and ServiceObjects), which allow address searches using external geocoding to a specific LAT/LON. In order to add a GeoSearch function, you must first acquire a paid API key for the given search provider. For further assistance acquiring a paid API key, please contact Websoft Developers. Address Search Zoom (City State Match Level): Determines the zoom scale of the map when the GeoSearch returns a coordinate that matches at the city zoom scale. 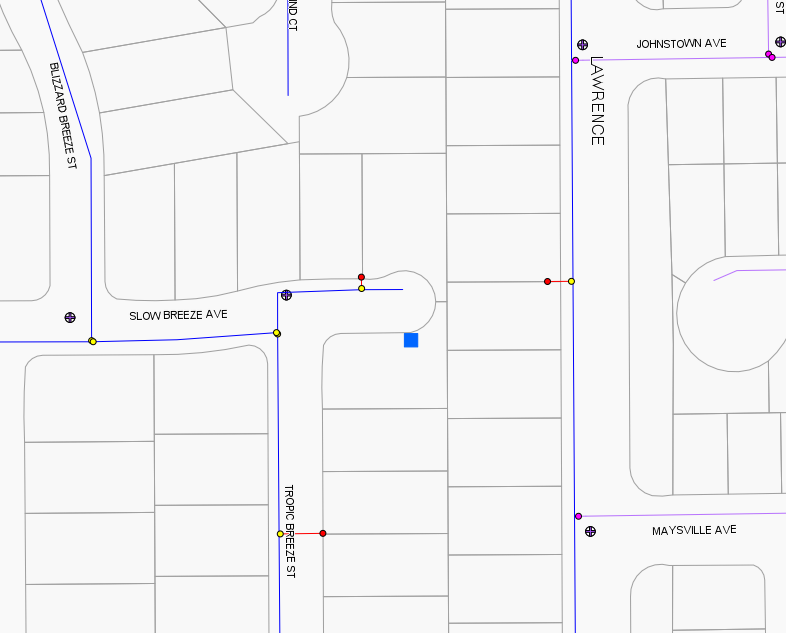 Address Search Zoom (Street Match Level): Determines the zoom scale of the map when the GeoSearch returns a coordinate that matches at the street zoom scale. 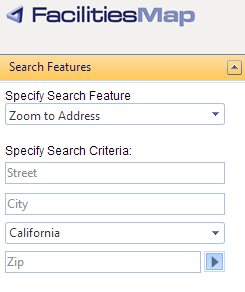 Address Search Default State: Populates the default dropdown value of the state for the GeoSearch. Once the GeoSearch has been implemented, you should see an "Zoom to Address" dropdown in the search pane of the map site.